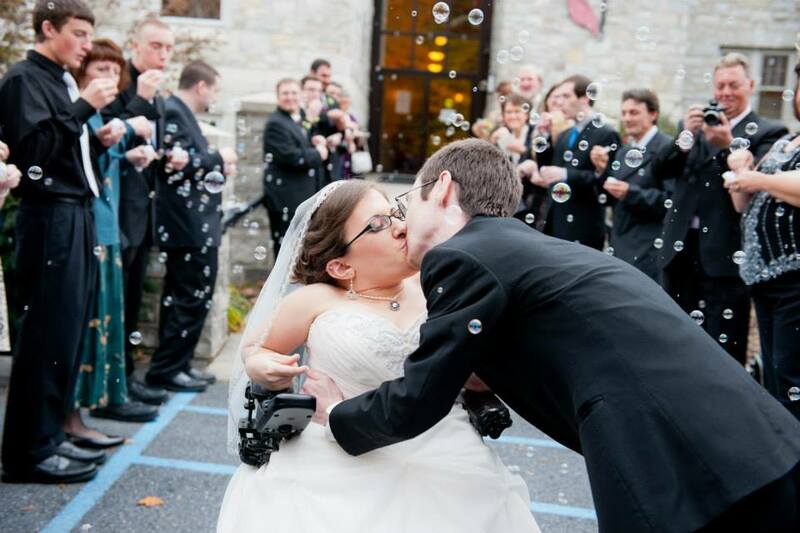 Wedding and Event Planning in York Pennsylvania, Maryland and destinations. I had a lot of ideas and it was so great to be able to get feedback and recommendations from Taryn throughout the planning process. She was always super responsive to emails and her encouragement and excitement for our day made us even more excited. She had great charts and documents that were really helpful for staying organized and making decisions for the wedding events throughout the day. Having her help with going over contracts and things like our invitations was so valuable. 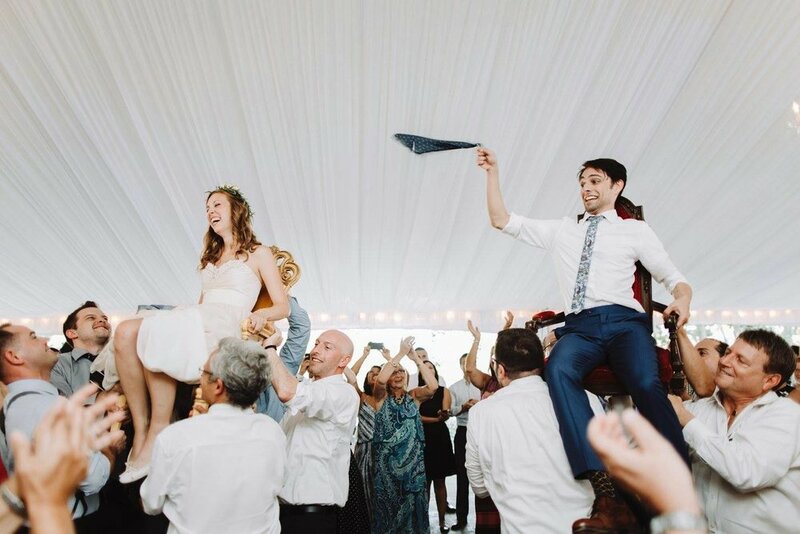 I really wanted the day of the wedding to go as smoothly as possible and be handled by a team that knows what they're doing, and I was not disappointed! TBE did a beautiful job taking all of the decor I brought and putting it together in a thoughtful way. Every step of the way, even with the inevitable anxiousness of the day for a bride, I felt taken care of and that I didn't have to think about the schedule or the details. When I got a little sauce on my dress during cocktail hour, Taryn was right there with a Tide pen to take care of it! Taryn is so friendly and down to earth. If you don't want to stress on your special day, I would highly recommend Taryn and her team!! I emailed TBE on a wing and a prayer, I had a strict budget, lots of ideas and was throwing a surprise wedding. Yes, guests thought they were attending another backyard party and we tricked them into attending our wedding. My first impression of TBE was they were up for any challenge, and I sure gave it to them. I was consistently impressed with their organization and how they thought of everything I didn't and always felt steps ahead of me. But most importantly, thanks to Deb, Gail and Taylor I truly ENJOYED my wedding and so did my mother, my mother in law, my aunt, my sister and my best friends. And that is what stuck out to me most about the day. I felt truly at ease. After the wedding, I met a friend who attended and we talked about the planning process. She noted that at the ceremony the champagne had raspberries (which she was deathly allergic too), Deb offered her a glass which she kindly declined to her allergy, but then 5 minutes later, Deb and Gail had popped a fresh bottle, sought her out before the ceremony, and handed her a glass with a raspberry free champagne. This is why you hire a coordinator - it was someone who elevated the entire event with just a sincereness, that is customer service oriented and always calm on what can feel like a whirlwind of a day. Ever since Taryn and I first spoke on the phone, I knew I was in good hands. 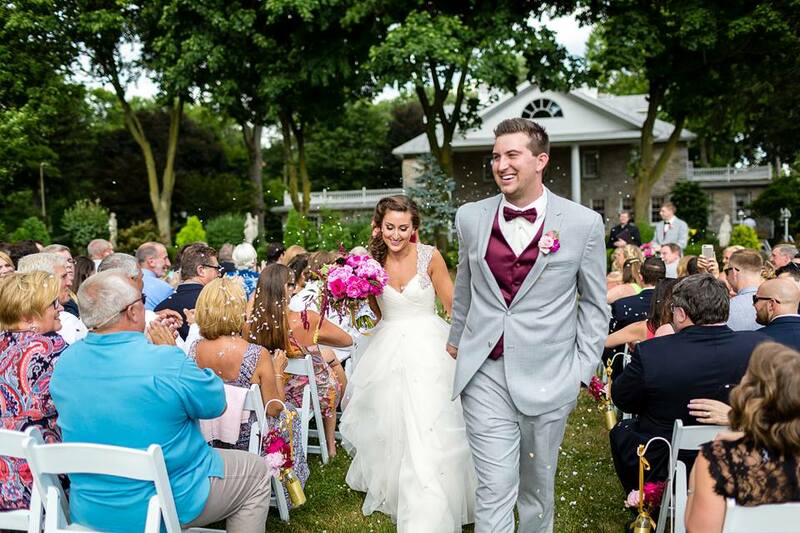 From the pre-wedding organization to the day of execution, Taryn and staff helped us execute a flawless wedding day…. I didn’t realize just how good of hands we were in until we first met at our venue. After meeting with Taryn, the venue coordinator pulled me aside and said, “I have never met someone so organized in my life. She’s amazing!” That’s when I knew we made the right choice. I am forever grateful to Taryn and the TBE team for allowing myself, my husband, and my family to fully enjoy our wedding day. One last thing: right before I walked down the aisle with my father I was overcome with emotion. I had to get it together. Taryn quickly pulled me aside and reminded me of what a special moment I was about to experience. “Look around at everyone as you walk down. See the faces of people who traveled near and far to be here today. If your eyes are full of tears you won’t be able to see all the smiling faces. Take your time and soak it in.” This has stuck with me since. I can still close my eyes and see that moment clear as day. Thank you Taryn for making the best day of my life the most unforgettable and flawless event! My wedding truly would not have happened without Taryn, Jen and the whole TBE team. From the moment I had my first phone call with Taryn I knew she was the perfect person to help plan my wedding. We decided to also have Jen from TBE plan the decor for our wedding. Let me tell you, that was truly the best money we could have spent. On the day of the wedding Taryn and Jen were QUEENS! There is really no other way to describe it. Taryn spent endless hours arranging and rearranging my schedule to help my vendors get exactly the amount of time they needed to make my perfect wedding vision come to life. When my belt broke during the first look photos they provided belt surgery with glue, thread, and air conditioner drying service. Everyone on Taryn’s team was there for every single thing I could have needed usually before I even knew I needed it (including running back to the bridal cottage to get my sandals and then HELPING ME PUT THEM ON MY FEET). I truly cannot put into words how amazing Taryn and her team are! If you are thinking about booking them for your wedding and you are reading this review don’t wait… BOOK THEM RIGHT NOW. Jen & Taryn are absolutely amazing. I had zero stress on my wedding day and I credit that all to TBE. If I could offer one bit of advice to brides-it would be to hire a wedding planner!!!!! Something that I loved was how quick they responded to emails. Literally, Taryn would respond within MINUTES. Literally, every single element from our wedding was exactly what I imagined in my head. They share in your excitement over the little things like table linens, ha. I can honestly say we not only hired the best in business but we made two great friends. Taryn was an absolute lifesaver for us during our planning process & wedding day. When we realized our original plan of an outdoor ceremony would no longer be possible due to an impending hurricane, Taryn made sure that our "Plan B" was just as, if not more, perfect than our original plan. She totally took charge and created the most romantic and intimate indoor space I could have ever imagined. I am still getting compliments on how beautiful our wedding ceremony was. I can't say enough good things about working with the TBE team, simply amazing! Taryn was great to work with leading up to our wedding. We hired her for planning at Shady Lane (she's pretty much an expert at our venue), and she answered any and all questions along the way. We had a very non-traditional wedding, and she listened to all our crazy ideas, asked us the right questions (things we never would've thought about), and had solutions and recommendations throughout the process. I'm so glad we decided to get a coordinator – it was totally worth it, and our day went off without a hitch! Choosing to use Taryn Blake Events was the best decision I made for my wedding day! I could not have asked for anyone better to work with, my wedding would not have been perfect without Jen! She was truly wonderful! From the moment I first spoke with Taryn on the phone, to the final hug I gave Deb at the end of our wedding night, Taryn and her team exceeded our expectations! Taryn, Deb, and the entire TBE team are amazing, and you're crazy if you don't hire them for your wedding! In addition to the obviously competitive value that TBE offers for their services, their work is amazing! I'm not exaggerating when I tell you that every communication I sent to her (and there were a LOT) she responded within an hour, if not just a few minutes. Taryn's team made our wedding PERFECT! We were stress-free and really able to enjoy our entire experience. HIRE THESE WOMEN!! I had multiple vendors, a 25-table room flip during cocktail hour and a wedding party full of family members and I could not have pulled off my wedding without Taryn and her team. She is quick to respond back via email or text and very organized! I felt immediate sense of calm the minute I got off the phone after our initial consultation. She made sure our wedding was absolutely beautiful and the best day of my life. Jen did an excellent job helping to coordinate the wedding. I don't know what I would have done without her help. She was there for last minute decisions and set everything up for us beautifully. She helped me make a last minute decision on sides for a tent to prevent rain from falling on my guests which ended up being a great decision. I was told by several people that working with a planner/coordinator was the best decision I could make and it turned out everyone was right. It was a perfect day and I'm so happy I chose to work with Jennifer and Taryn Blake Events. Click below to read 50 more reviews - a perfect 5-star rating for our team!